Reconciliation means appeasement, compromise and agreement between conflicting parties, groups, etc. 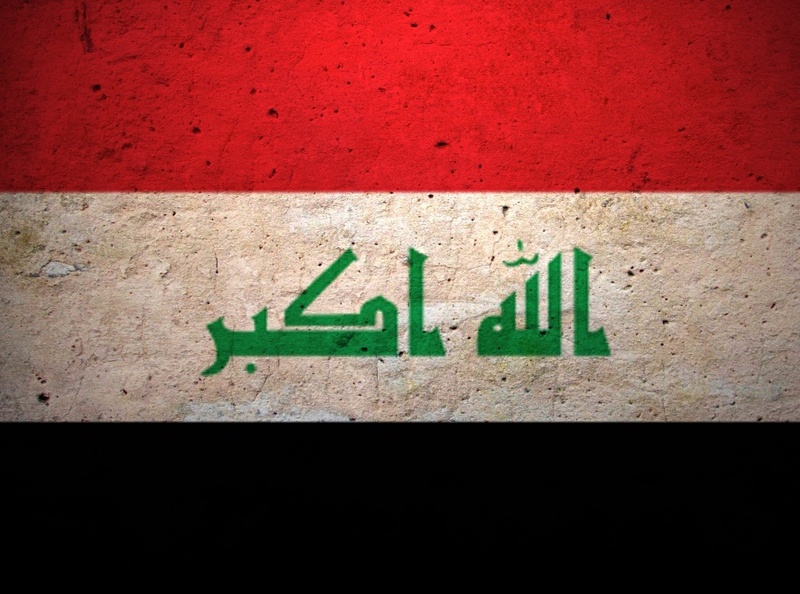 When the old state of Iraq collapsed in April 2003, what thought to be a harmonious Iraqi society, turned out to be a highly conflicted society. The social components of the state of Iraq entered in a communal, ethnic and sectarian struggle. In order to deal with such a situation, a reconciliation process needed to be conducted by governmental and non-governmental agencies. This process was not truly conducted by state agencies for different reasons. 2) Changing the nature and philosophy of the old state and building a new philosophy suitable to all new socio-political forces that have taken control of the administration after the establishment of the Iraqi consultative ruling counsel by Paul Bremer, the first American ruler of Iraq in May of 2003. The understanding of the paths of national reconciliation in Iraq requires the study of the role of governmental agencies since the creation of the first Iraqi authority under the rule of the occupation authority, until the end of the fourth elected government in 2014. 1) National Reconciliation during the stage of Consultative Ruling council (C R C). The CRC never deal with such a term. The reason is that, despite the total loss of a state security institutions, the Iraqi society was still quite and controlling their own affairs cooperatively. The C R C should issue an initiative similar to the one of South Africa , in order to set future foundations of maintaining harmony among the components of Iraqi society. 2) National Reconciliation during the rule of the government of Mr. Ayad Allawy. During that period, Sectarian and communal violence have not erupted yet among the component of Iraqi society. But the government was very busy fighting elements defying the new government authority. Fighting such elements made Allawy lose his future political career. So, there was no real motive for Allawy to issue such an initiative of National Reconciliation. 3) National Reconciliation during the rule of the government of Mr. Ibrahim Al-Jaafari May 2005-June 2006. This stage of rule, had witnessed the first appearance of the internal tension and conflict. In February 2006 Sunni fanatics north of Baghdad exploded Holly Shrine of Shiaa. This event had led to a civil strife among Muslim sects in Iraq . In addition, this event made the Arab League to call for the participation in a conference held in Cairo inviting all representatives of Iraqi conflicting groups. The conference was under the patronage of former president of Egypt Mr. Husni Mubarak. The representatives of the permanent staffs at the Security Council attended the conference and many other representatives of others concerned states and groups. The Iraqi conflicting groups attending the conference agreed on ending the causes of conflicts in Iraq through the following of certain procedures. One of these would be the launching of National Reconciliation initiative. What happened after the end of the conference was that, all the Iraqi groups, weather governmental or nongovernmental forgot what they agreed upon during the conference and entered in a bloody period, which looked like a civil war. 4) National Reconciliation during the rule of the first government of Mr. Nory Al-Maliky June 2006-June 2010. Mr. Al-Maliky is considered the first Iraqi rulers to deal seriously with the issue of National Reconciliation. He had to confront those who defy the authority militarily, and at the same time, setting the rules for the assimilation for all those who would like to abandon the use of weapon and join the political process in Iraq. On June 25 2006, he announced the initiation of the reconciliation program to deal with all the problems created by terrorism and administrative corruption (Annabaa.org, 2006) . Iraqi parliament supported such a step and forms a committee to deal with such an issue. Mr. Akram AL Hakeem was the head of this committee and later, he became the first minister to such an issue in the modern political history of Iraq (State Ministry of National Dialogue Affairs, 2007, 2008) . Due to the political and social complexities of the Iraqi political process, the ministry could not achieve any real success. Instead, they issued statements describing the progress of their work and mostly exaggerating that work (Edited Book, 2009) . - It is highly mistaken to hold AL Maliky government responsible for the failure of all the programs and policies of reconciliation. Other groups should bear a great share of the responsibility. The government of Mr. Maliky inherited from its predecessors and then passed to its successor Mr. Al-Abade, Many problems created by internal and external factors, which resulted in making conflicting circumstances and national fighting. Because of Mr. Maliky’s policies in his second government, those problems have been broadened and deepened, causing the missing of many opportunities of achieving national reconciliation. 1) The change of the previous Iraqi regime through a military act by a foreign power did not get the consensus of the Iraqi societal and political forces. This fact has led to the division among those forces, and this division has led or forced many of those forces to carry weapon and fight those forces that work on holding the authority and run the political regime. In order to achieve a real and transparent reconciliation process in Iraq, we should get rid of this division and prepare a fertile environment to make all societal and political forces trust each other and work together to achieve harmony which would be reflected in a good decisions for building a real state institutions. 2) The formation of the Consultative Ruling Council (C R C) by the occupation authority on the basis of distributing powers among the ethnic, religious, and sectarian components of the Iraqi society, according to their shares in the society (the Quota principle) was one of the major causes of armed conflict after the year 2003. This decision was faced by three conflicting views. The first has received positions never dreamed of, and make it feel satisfied with such a decision. The second has felt a sever injustice inflicted on its people through losing much of its former power as well as losing many political posts in the present authority. The third view focused on the injustice, because they felt that, they have lost their national identity and the ignorance of the principle of the equality before the law for all Iraqi citizens. This means that, the feeling of injustice has never ended among the Iraqis after the fall of the old political regime, but, it has been transformed from one component to others, and just became deeper and broader and more severe than its old time. The feeling of injustice has led to the increase of violence among the political components, between those who benefited and those who got dissatisfied by such a decision. Therefore, the Quota principle is considered to be as the second important cause of the civil violence in Iraq . We believed that, one of the most effective factors in stopping this violence is to end the Quota principle in administering the state of Iraq . 3) The achievement of the processes of writing and approving the Iraqi constitution under an environment of distrust and fear among its components, have contributed significantly to the violent conflict in the following years. Each party has sought to achieve its own interest on the interest of the other parties. They have made the process of amending the constitution almost out of question. Many articles of the constitution and other laws should be amended such as, the article concerning the Governorate of Karrkuke. The de-Bathification and the questioning and justice, the article concerning the relationship between the federal and regional governments, the problem of distributing power and authority between the parliament and the executive, the general pardon law, the problem of Iraqi identity and the relationship between religion and the state. The rejection of the political regime or some of its active participants to amend those problems, or its inability to amend theme, even if it expressed its will to do that, would keep those problems unsolved and cause the continuation of the violent conflict, which would be a major impediment to achieve in the reconciliation process. 4) The rejection of the government, or some of its participating parties, to open a compromising dialogue with many of the opposing political forces despite the influence of those forces on the social and political life in Iraq, would keep those opposition forces active in the field against the government which would lead to delay or even stop the achievement of the national reconciliation process. 5) A total or partial rejection of many of those oppositions forces to start a compromising dialogue with the government, would have a negative impact on the achievement of the process of the national reconciliation. 6) The un-solving of many of the conflicting cases between the government and few of the oppositions forces such as (the awakening and support council, the employee of the dissolved institutions and the high ranking officials of the old regime) would delay or stop the achievement of the national reconciliation process. 7) The un-passing of the required legislations for the stability of life and the legitimacy of the political process in Iraq, such as (the law of political parties, press, the financial integrity of governmental and political parties officials, and independence and transparency of the judiciary, the professionalism and impartiality of security and military institutions) in such away, which would not lead to or prevent the achievement of the national reconciliation. 8) The dissatisfaction expressed by some of the political forces inside or outside the government concerning many passed legislation and the means to perform them in such a way, which would not lead to or, delay or prevent the achievement of the national reconciliation. 9) The unwillingness of many regional and international parties to achieve a comprehensive or partial reconciliation for different reasons. Therefore, they would interfere in the internal affairs of Iraq in such a way that would lead to delay or prevent the achievement of the national reconciliation. 10) The unsolved conflicting cases between the Iraqi government and many of the Arab and regional states, concerning the nature and the scope of the relations with the government of the United States of America and the neighboring countries, would push those states to achieve their interest through the intervention in the internal affairs of Iraq, in such a way that would lead to delay or prevent the achievement of the national reconciliation. G- The adoption of accepting the amendment of the constitution according to the approved written procedures, because what good for today, would not be good for tomorrow. Unfortunately, the continuation of the problems of reconciliation without finding real solutions, has led to the broadening and deepening of those problems under the rule of the second Mr. Maliky’s government. The worsening of security situation as a result of the prolongation of those problems, and the unwillingness of the government to find solutions -despite the fact that it had the human and financial resources to solve those problems- have led to the inheritance of those problems by the new government of Mr. Al-Ibady. Consequently, it is natural that, Al-Ibady government is going to suffer badly of the negative results to such a situation. - The third negative consequence is the declining of the prices of oil. It is the only source to finance all aspects of life in Iraq . The government is suffering from dedicating a large sum of money to solve the reconciliation problem, which is considered the most important factor in liberating the occupied territories. - The foreign support factor to those demands, have led to the formation of many axis and alliances between those who adopted them and the supporting foreign powers. This factor would not only lead to blocking the work of the reconciliation, but it would make Iraq the arena of struggle among these foreign powers. In addition, it would transform Iraqis into agents of implementing the objectives of those foreign powers. Achieving reconciliation in Iraq requires treating all those factors through direct, serious and frank dialogue between the government and all those opposing parties. The first thing is supposed to be treated is not just achieving the reconciliation, but to correct the whole Iraqi situation, including the state of the political process, the Quota principle which become the most important negative factor which breeds all other negative problems after the official withdrawal of the American forces. Murad A. Abbas and Radhi S. Jassam, Department of Political Thought, International Studies, University of Baghdad, Baghdad, Iraq.